← Are Homeopaths Innocent Victims of Skeptical Attacks? I’ve always made it a point to remind people that expertise is low-level evidence. Plenty of folks with advanced scientific training hold blatantly untrue, anti-science views. The notion that who you are is sufficient to prove what you claim true is known as the Appeal to Authority fallacy. Being an expert (especially a self-proclaimed one) doesn’t mean your claims should be accepted without further evidence. However, it is also false that all opinions are equally likely to be true and that expertise carries no evidentiary weight at all. Surgeons do surgery and pilots fly airplanes better than people without training in those fields, and legitimate experts with recognized credentials are more likely to have credible opinions and information about subjects within their area of expertise. The trick is to balance the excessive respect for expertise that leads to uncritical acceptance of claims contrary to evidence with the illusion that one can make judgements about absolutely anything that are just as sound as people who truly are experts in those subjects. The appeal to authority problem comes up most frequently here, with vets or others in medicine making false claims and expecting them to be accepted without evidence beyond their word. However, in my daily life as a practicing vet, the more common problem I see is the belief that expertise is irrelevant and anyone’s opinion is as likely to be true as that of someone with formal training and experience in medicine. Just last month, I saw a client who became very angry, and quite abusive, when I refused to prescribe a drug she wanted for her cat. When I tried to explain why the drug was not going to help her pet, and was more likely to do harm than good, she kept saying “That’s just your opinion” and “I read on the internet that he needs that drug.” Though I’ve run into this before, I still found this woman’s faith in the advice of anonymous strangers and random web site above the actual veterinarian who was seeing her and her cat pretty stunning. Fortunately, just this week I ran across two lovely comments on this problem which I thought I would share. The first is a coffee cup I dearly hope someone will get me for Christmas. Excellent! What a talented young lady. It amazes me the amount of incorrect information being shared on forums. I was taught that only a doctor can diagnose and prescribe medication/treatment. I apply this to veterinary medicine too. At first, even I was being drawn in by the homeopathic vets, I figured they are veterinarians so they must know what they are talking about. I mean, some of the things they say do make sense….but, no antibiotics? No heartworm treatment? Get Kelsey and co better mic’s so I can hear every word of wisdom! My lovely vet, who has been practicing for 30 years has such patience when I ask him about information on the net, and answers all of my questions with respect for my curiosity. Guess who I actually listen to? Him. Now our animals still can get sick, and everyone of us will at some point die, but maintaining health with advice from a well informed, degreed, practicing, and caring vet is important. I have learned the hard way that evidence based research matters. Thanks for the song. I have an utmost respect for my vet and my doctor. I also understand the difference between being an expert and informed. I’d never demand a drug, though, I might ask politely if something I learned about makes sense or not. But occasionally vets and doctors make mistakes, fail to diagnose, or just don’t have time or, in case of doctors, order tests for “defensive” reasons or because their clinic’s “quality measures” say so (if you read kevin md or any other doctor’s blog you’ll find zillion of example of doctors’ discussing it). 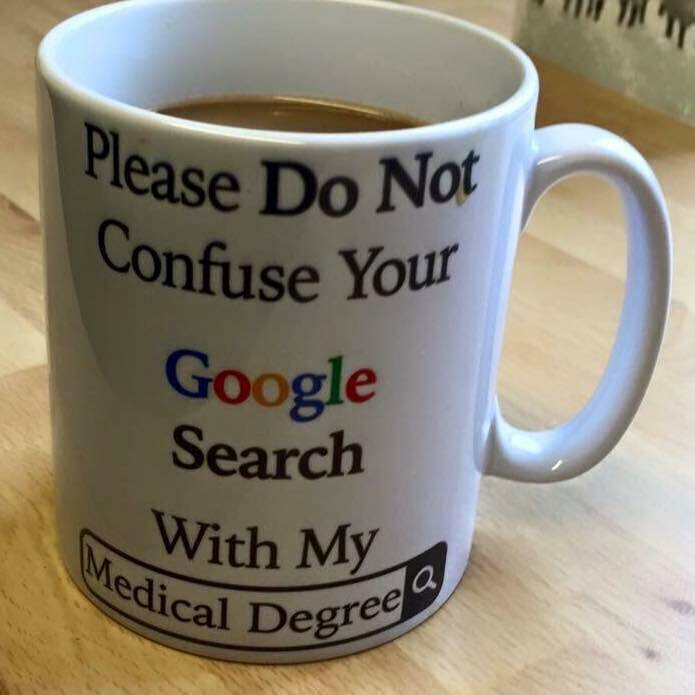 In these cases, someone can very useful information using Google assuming one reads medical websites, is intelligent and thorough and ignores woo websites and personal opinions). 1. There are vets who insist on yearly vaccinations (with vaccines approved for 3 years) or non-core vaccines for indoor-only pets. 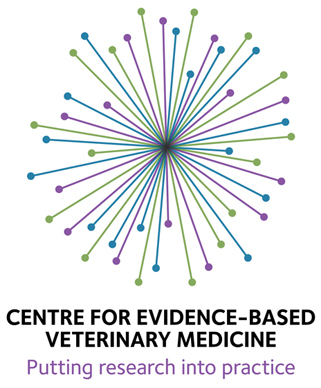 A google search of vet-related website and their clinic’s practices shows that over half still recommend every year or every other year FVRCP. Should the cat owners just take their vets’ word that their indoor-only cat needs FVRCP every year or FELV or can the owner question it? 3. Personal experience. When my previous cat was a kitten, she’s had a nasal polyp that a vet failed to diagnose for months. Even when he did an X-ray that showed white-out middle ear, he said something along the line how she has an ear infection and mucus from her ear flows into her nose and causes the wheezing and “let’s open her middle ear and find out”. This didn’t sound very convincing to me. I went to a Cornell website which used to have (maybe still has) a searchable database of symptoms, cross-referenced wheezing and middle ear infection and got polyps. After that I took my cat to another vet who thought about polyps right away, and yes, it was a polyp. Should I’ve just trusted my first vet’s education? 4. Also personal experience. My two kittens had ringworm, one of them couldn’t shake it for months. I was reading up everything I could on the web, mostly vet blogs, vet clinic websites, vet handbook, etc. I found that many of them say that itraconazole compounded from bulk chemical is not as effective as patented version, some vets actually called it useless, I also found a letter from vet association in one state to the pharmacy board of that state to stop using it. I brought it up to my vet, she switched the prescription to fluconazole (we couldn’t find a pharmacy that would sell less than a full human sized bottle of Sporanox), and my kitten’s ringworm was gone within a month. I realize that in most cases a vet or a doctor is right, and of course no google search can replace the expertise, but sometimes google search can provide useful information too. I agree that in the vast majority of cases, what people find on the internet is wrong, but the vets or doctors shouldn’t discount out of hand what we find either. Obviously, annual vaccination for core vaccines is not justified, so this is a great example of vets giving bad advice. On the other had, most of the hysterical anti-vaccine rhetoric offered on the internet is also not justified, and it is an example of the dangers of unfocused internet searching. I absolutely believe pet owners should be informed and ask tough questions of their vets. I just think people should be aware that much of the information on the internet is unreliable. My daughter, now in high-school, is being taught ways to identify reliable and unreliable sources and to think about this issue, but most of us born before the internet didn’t have such training. And even reliable information can mislead when taken out of context, so people should be open to discussion with their vet even when they feel they have a pretty clear idea of what the best course of action is. 2. If you notice, I have a link to the Choosing Wisely site on the blog, and I have written often about overdiagnosis and overtreatment. These are important problems, an I am totally in agreement with you on this one. It’s tough in vet med because we don’t have the epidemiologic data necessary to tell us when overdiagnosis is occurring, so while I’m sure it’s at least as big a problem as in human medicine, there isn’t any way for vets or pet owners to reliably detect or avoid it. The best we can do is be aware of the issue and try to practice good clinical decision-making. Interestingly, my perception is that owners are more likely to promote overdiagnosis and overtreatment than vets. I am frequently confronted by owners demanding bloodwork, ultrasound, or other tests that are clearly not indicated, antibiotics for conditions that are almost certainly not bacterial infections, and so on. Doing something, like a test or treatment, gives us a feeling of control and ameliorates our anxiety, so many owners in my practice seem highly motivated to do things even when I counsel against it. It’s definitely a problem on both sides of the vet/client relationship. 3. Of course, I could provide plenty of similar stories about owners whose experience of assessment differed from the vets’ and who didn’t turn out to be right after all. It’s not a black/white question of ignoring your vet’s advice or blindingly following whatever they say and ignoring your own observations. I certainly haven’t suggested anywhere that anyone blinding trust their vets. However, I find people are far more reluctant to question their own beliefs than they are to question other people’s beliefs, so it seems to me that slavish following of the vet’s advice is less common than excessive confidence in one’s own opinions. Overall, I think we agree. All human beings are fallible, including doctors. And all human beings are inclined to trust their own experiences and beliefs more than they should. Experts have knowledge and skills we need, which is why we hire them to help us, but they are not infallible and shouldn’t be followed blindly. 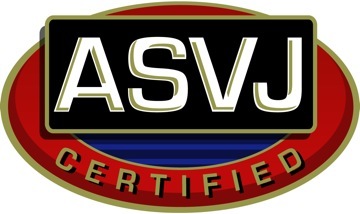 A strong, effective vet/client relationship involves detailed, open communication and trust. You are in charge of your pets and know them best. I am a consultant with knowledge and skills you don’t have, so I can help you make decisions for your animals, but they are ultimately your decisions. I need the information you have as well, since I see your pets only briefly and in an unusual context. You need the information I have because we can’t all be experts on everything, and none of us are objective about our own family members. Teamwork is what we are aiming for. I do think we agree overall, and yes, a lot of people believe everything they find on the web. I don’t think I’d have any problems working together with you, and I have no problems with my current vet either. I do have a friend whose vet insists on every other year FVRCP which is probably one of the things I had in mind when writing 1. I ‘Ve taken to asking clients to do their research on Google Scholar, now they come back without reams of printouts, just their pets.